Do you drive a Mazda? No matter which Mazda model you drive, when it needs car repair in Lafayette, look no further than the auto mechanics at Guaranteed Automotive & Transmission Service. 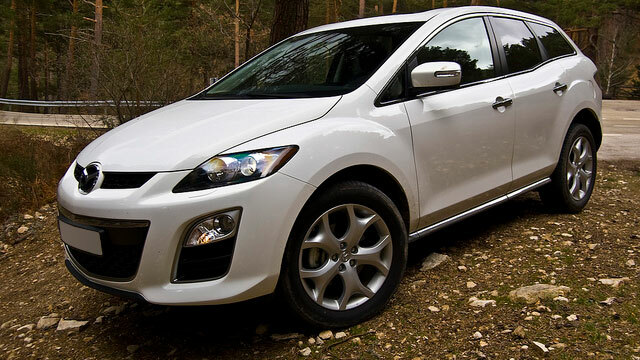 Our ASE-Certified mechanics are highly trained in Mazda car repair. Thanks to our state-of-the-art equipment and tools, our team will quickly and accurately zero in on what the problem is. Our diagnostic capabilities are top-notch, and that is why our auto repair shop is highly-regarded in the Lafayette area. Owner Clint Johnson’s parents, John and Terri, opened Guaranteed Automotive & Transmission Service right here in Lafayette, IN in 1983. Clint’s mom Terri is still actively involved in the business. Back then we specialized in transmission service, but over the years we’ve evolved into a full-service car repair business. But we’re still known as the Number 1 transmission shop in Lafayette--proven by the fact that other shops send us the tough transmission repairs because they know that’s our speciality. So you know that if your Mazda needs transmission or other car repair, Guaranteed Automotive & Transmission Service is the place to go. “I was a bit put off because it took them so long to get to my car. I called on Tuesday, they told me to drop it off on Thursday morning and it wasn't until Monday afternoon that they told me the deal. However, when a transmission place takes the time to drive your car around and then calls you back and says nothing is wrong, that has to go for something. Not only that, I asked the guy to take a look at the fluid and if it looks like it needs changing to go ahead and do it (he quoted me $96 out the door for flush and filter change). So if you’re looking for an honest, expert car repair shop for your Mazda in Lafayette, look no further than Guaranteed Automotive & Transmission service. Schedule an appointment online , call us or stop by. Guaranteed Automotive & Transmission Service is conveniently located at 3742 State Rd 38 East Lafayette, IN 47905.